What is OnVIF and why is this important ? If you are looking to get a new IP CCTV System, the chances are you’ve seen the phrase “ONVIF compliant”. But what does that really mean? Sit down, have a cup of tea, and let Camba explain to you. ONVIF is a standard that allows CCTV Cameras and Recorders from different manufacturers to work with each other. Ah, right, now I get it, but I’ve just made a cup of tea, please go on…. ONVIF stands for Open Network Video Interface Forum and is an open standard protocol that allows IP-based products within the video surveillance industry to communicate with each other seamlessly. This means that network cameras, network video recorders (NVRs), video management software (VMSs) from different vendors can all communicate to each other without the need to configure proprietary commands or addresses. Now let us explain you the annoying tricky part. 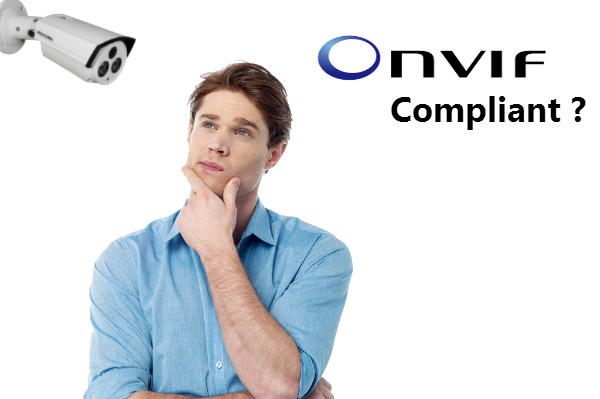 It is not possible to be ONVIF compliant only; you need to be compliant to a Profile as well. To make the most of the ONVIF benefits, you need to be Profile S compliant as it effectively increases the probability of things like video and audio streaming or video configuration and multicast really working together. So, in the end, being ONVIF Compliant is the proof that your product , be it client or device, will work with other products certified at the same level. For example, a Profile S device can be expected to work with a Profile S client. Camba.tv primarily work with Hikvision cameras. As Hikvision is one of the leading members of the OnVIF steering group, you can be sure that all of the recent and future equipment installed by Camba.tv is compliant to the latest Profile versions. This not only gives our customers more flexibility when it comes to product choices but also saves time and money when our customers (you) are looking to either set up IP-based video surveillance for the first time or expanding existing set up. Camba.tv uses ONVIF Profile S specifications to support a wide range of 3rd party cameras with features such as configuration of the video stream and the device IP; support for audio input; support for digital outputs; record on motion, and control of PTZ.